A lot has been made about Oklahoma quarterback Kyler Murray and the next step in his career. A first-round pick of MLB’s Oakland Athletics this year, Murray already inked a near-$5 million deal with the A’s and figures to start his pro baseball career this coming spring. 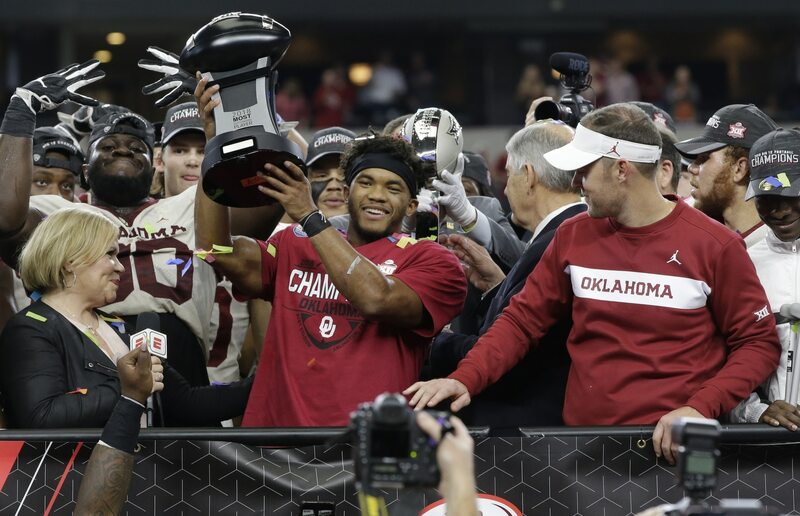 But given Murray’s success for the Sooners this season, rumors have persisted that he could be a first-round pick in the 2019 NFL Draft. The smallish 5-foot-10 signal caller is the favorite to land the Heisman Trophy this weekend and could have a future in the NFL. However, Murray’s agent is attempting to quiet any rumors linking his client to the gridiron. Based on his frame, it’s hard to imagine Murray being seen as a top-end quarterback prospect. As mentioned above, he stands at just 5-foot-10. Remember, Russell Wilson fell to the third round of the 2012 NFL Draft, primarily due to his 5-foot-11 frame. It will certainly be interesting to see what comes of this. But for now, every expectation is that Murray will be working his way up the A’s system rather than being on an NFL team this coming summer.